Life in the Land of Inspiration. What Karoo people do – and how they do it. The ‘invisible’ karretjiemense of the Great Karoo – descendants of the earliest South Africans. 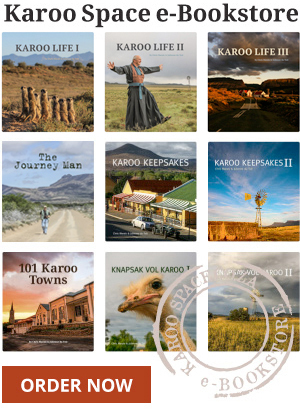 Rose’s Round-up is a popular newsletter written by one who knows and loves the Karoo. Sonja and Dirk van Rensburg of Calvinia have the Junkyard Blues – in a good way. They also run the Republic of RusticA, aka Rustic Art, aka Blikskottel B+B.